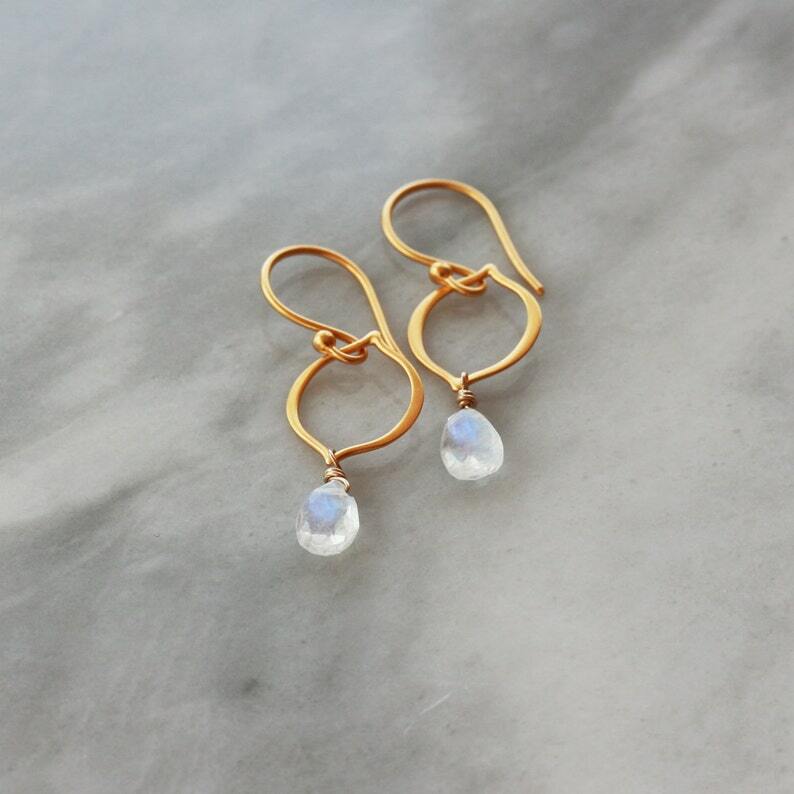 Beautiful, faceted drops of white Moonstone that flash with subtle blue iridescence hang from fancy arabesque-oval links and simple earwires. The metal is high quality, 24k Gold Vermeil. 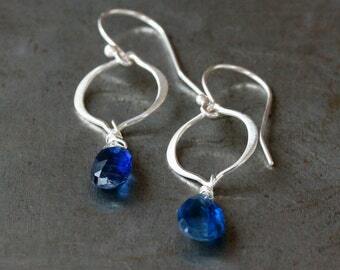 These are super lightweight earrings, perfect for all-day wear on your wedding day or any other. Total length is just under 1.5 inches from the curve of the earwire to the bottom of drop. Love these. They go with everything.